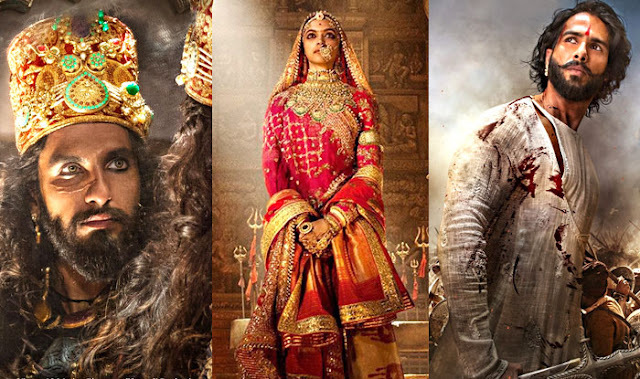 Sanjay Leela Bhansali is back with the legend of Rani Padmini in the period drama “Padmavati.” Padmavati, stunning beauty and the princess of Singhal (Sri Lanka), got married to Ratan Singh, the Rajput Ruler of Mewar. Alauddin Khilji, the ruler of Delhi Sultanate, obsessed with the beauty of Padmavati decided to attack Chittor in his desire to obtain Padmavati. Padmavati and her companions committed Jauhar ( Self- immolation) to protect their honour before being captured by Alauddin Khilji. The trailer is blended with stunning visuals and some intriguing sequences. The cinematography looks brilliant with aesthetically crafted art direction. The trailer has two dialogues in the background to glorify the honour and majestic legacy of the Rajput rulers. Deepika Padukone as Padmavati looks serene, classy and poised in every frame. Ranbir Singh is ruthless with fierce expression as villainous Alauddin Khilji. But surprise package is Shahid Kapoor with a majestic and warrior look as Maharawal Ratan Singh, the husband of Padmavati. He brings out the eternal aura and class of the Rajput king with a shade of brilliance. “Padmavati” is releasing worldwide on December 1.